Often, a writer’s first novel is filled with many autobiographical elements. And when this is pointed out, it is not usually in a favorable light, but more a sign of their inexperience. That’s not to say that an author’s fourth or tenth novel doesn’t also have autobiographical elements within the pages, but they are probably better hidden, less obvious. Maybe. My first novel, Trespassers , is about to hit the bookstore shelves this fall. It is a story filled with darkness, a story of an abused and neglected child grown into a woman who struggles with her past. Her mother is an alcoholic who favors her son over her daughter. She is neglectful and accusing and miserable. She is nothing like my mother. But people read my first novel and they wonder. They look for possible autobiographical references. How could a seemingly happy woman write about such a dark subject? What must she know about a life of abuse, neglect, misery? But the life depicted within my first novel is nothing like the life I’ve lived. I am fortunate. My mother is the kind of person who writes handwritten thank you notes, sends birthday cards through the mail, cooks and delivers meals for people within her community who are sick or recuperating. My mother will give things away to people because “they need it more than we do.” I get my love of reading from her. Not to leave my father out, he is the kind of person who keeps a smile in his pocket and gives it out freely. He is always quick to help others and I am continually amazed at his wealth of knowledge. I can call him up and ask him the most random question and he almost always knows the answer. (My husband is like that, too.) He was the kind of dad who was very involved, getting down on the floor with my brother and I and wrestling or playing. And seeing him with my children, his grandchildren, I think I’ve finally decided the reason we always had rocking chairs was because he loved rocking us to sleep. Aren’t my parents adorable here? When I was a little girl, sometimes after church we would have a few people over. We’d pick up donuts from a local shop, Larry’s, and when our guests arrived, the house would smell of fresh brewed coffee and donuts. The cinnamon twists were my favorite, but the glazed were also popular. On this particular morning, my mother was sitting cross-legged on the floor probably because the comfy seating was for our guests: my grandfather (my mother’s father) with his smiling eyes and easy laugh and an older woman, a close friend of the family whose name I cannot recall, but I remember she smelled strongly of flowers. My dad was there, of course, his tall frame towering over us, the china plate looking especially delicate in his large hands. There may have been others present, too, probably at least one pair of aunts & uncles, but no one else sticks out in my memory. Either my brother hadn’t been born yet or he was napping because I was the only child in the group. This did not bother me because I was allowed to join them. I was perfectly content to listen to their adult conversation and join in laughter amongst friends, even if I didn’t always understand the humor. There was the sound of fragile teacups placed on saucers and the warmth of sunlight streaming through the windows. I looked over at my mother, at her long brown hair ’70’s-straight and I was completely overwhelmed with my love for her. To me she was glamourous in that moment and it struck me speechless. Of course I remember this moment so vividly because in my childish exuberance, I launched myself at her to give her a kiss, which could have been a sweet moment between mother and daughter, but actually resulted in a much surprised mother and a daughter’s sloppy, wet kiss smeared across her mother’s cheek. I suppose the only thing I can be thankful for is that I did not choose to fling myself at her when she held the fragile teacup to her lips or we both would’ve been burned with hot coffee. Larry’s has long since closed and my grandfather and the floral-smelling lady have both passed away. I doubt my parents remember this particular Sunday decades ago when life was simple and the donuts were fresh. But I remember. And I am grateful to have parents who loved me so completely, who encouraged me in pursuing dreams that didn’t always make sense and supported me when I did dumb things as we all do. They’ve driven across the country with me – more than once – and have spent a small fortune on me. They have laughed with me and they have consoled me. They are nothing like the bad adults depicted in my novel. 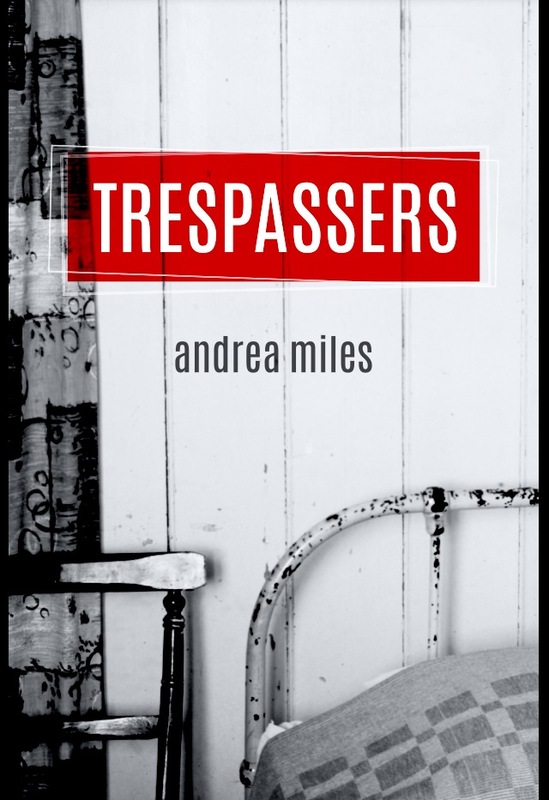 I wish there weren’t people who have experienced lives like the fictional one I wrote about in Trespassers. I wish we lived in a world where children were never hurt by those closest to them. I wish everyone could have loving parents like mine, who, although not perfect certainly did their best. 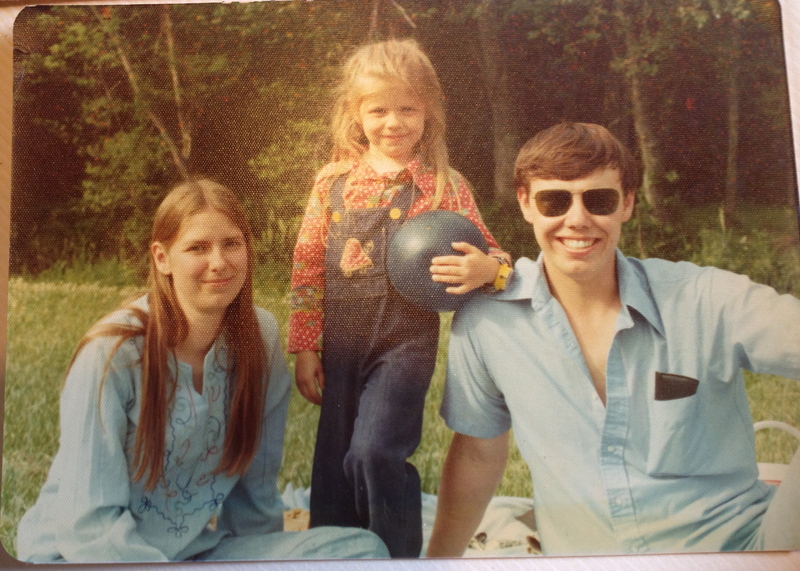 Perhaps my next novel will have parents similar to mine, but I can assure you my first novel is not autobiographical. I was recently invited by Lisa of Cornerstone Home Learning and Mirkwood Reflections to share my writing process via a blog tour, which is a relay that involves answering four questions and then introducing fellow authors who will continue the blog tour the following week(s). Lisa was assigned to my (virtual) camp cabin at Camp NaNoWriMo (a bit more on that below) this spring and when I learned she also homeschools, I tracked her down on Twitter to further cement our connection. I am currently working on a novel about three teen girls who are victims of trafficking. I am actually about 5000 words away from finishing the first draft, which is exciting and, quite honestly, a relief. Starting a book is great; the words usually come easily and the page count adds up fast. And then you find yourself blindfolded in the murky middle and you despair of ever reaching the end. But eventually you cross over the hump and sail toward the end. And that is about where I am right now, which feels pretty good. Except the book is awful! I am not just being modest. I think I have about 5 POVs (although there’s nothing intrinsically wrong with that) and a lot of vague areas that need research. But this is why rewrites exist – I just hope it transforms itself in fewer than … I don’t know… ten rewrites. My writing would not be categorized as Christian fiction at all, but as a Christian I hope to imbue within my books something that either speaks to the Christian readers or that leads a non-Christian one step closer to becoming a Christian. For example, my first book Trespassers takes its title from the Lord’s Prayer: “forgive us our trespasses…” and there are characters in the book who are Christians or who become a Christian, but they are not perfect Christians. There is cursing and abuse and poor choices… And in my current work-in-progress one of the teenaged girls is a Christian, but like most teenagers doesn’t really understand what that means. And one of the traffickers is also a Christian, but he’s certainly not such a great guy. You’ll have to wait to find out what happens to them and what part, if any, their faith plays in their story. Both books are not books one would associate with Christian writers, but I hope both Christians and non-Christians enjoy them. I never set out to write about social injustice, or about children who are wrongly treated, but this will be my second book dealing with those themes. My novel, Trespassers, deals with a woman who was abused as a child. We have a responsibility as a society to care for our future generations. I’m not out there carrying banners or raising money or signing petitions, but I am writing books which, if they speak to just one person, provide even the slightest change in their thought process, or create just a pinprick in their prejudice, then I will have succeeded. I begin a book by being lost in my head for a while, thinking about the characters and who they are, the path they’re on, the path they might take. And then once my brain starts to get too crowded with all the details, I begin to jot down notes, ideas, scenes, actual dialogue. I try to do this all in one designated notebook, but usually I also have a collection of scraps of paper, assorted documents saved on my hard drive, and articles and webpages bookmarked on my computer. Eventually I get to a point where I am anxious to get writing and then I start. For this particular book, I wrote the first 50,000 words in November during National Novel Writing Month (NaNoWriMo) and then in April I wrote another 20,000 as a participant of Camp NaNoWriMo. I admit I am an expert in procrastination so these NaNoWriMo challenges have benefited my word count greatly! Roberta Dolan As a survivor of childhood sexual abuse, Roberta Dolan has made it her mission to enlighten others about the importance of ending the silence and of the need for tangible strategies to support healing. Roberta is a former special-education teacher with a master’s degree in counseling. The desire to educate remains at her core as she conducts seminars for parents and childcare providers on preventing childhood sexual abuse. Roberta’s first book, Say It Out Loud: Revealing and Healing the Scars of Sexual Abuse , will be released by She Writes Press October 7, 2014. When they are not at home in Connecticut, Roberta and her husband, Tim, enjoying traveling the country in their RV. Cheryl Rice is a professional speaker and coach. Her company, Your Voice Your Vision partners with women striving to be leaders in their own lives. When Cheryl decided to take the advice she so passionately offers her clients, she emerged with a memoir, Where Have I Been All My Life? : A Journey Toward Love and Wholeness . Her essays have appeared in The Philadelphia Inquirer, Cactus Heart, and Cure Magazine. Cheryl has M.S. degrees in both Psychological Services and Organization Development, and lives with her family outside of Philadelphia. Find Cheryl online at www.YourVoiceYourVision.com. Sande Boritz Berger A former teacher, turned video producer, Sande Boritz Berger received an M.F.A. in Writing and Literature from Stony Brook Southampton College where she received the Deborah Hecht Memorial prize for fiction. Her debut novel, The Sweetness: A Novel , which will be published in September by She Writes Press was a semi-finalist in Amazon’s Breakthrough Novel awards. Sande lives with her husband in Manhattan and Bridgehampton, NY. Carole Bumpus, a retired family therapist, writes a food/travel blog taken from excerpts of her interviews with French and Italian families, known as Savoring the Olde Ways. She has been published in both the U.S. and in France for her articles on food and as a ‘war correspondent’ when she traveled with U.S. World War II veterans for the 60th anniversary of the Allies Southern Landing in Provençe. She is repeating this trip on August 15th, 2014, for the 70th anniversary. She has been published in three short-story anthologies: Fault Zone: Words from the Edge, Fault Zone: Stepping up to the Edge and Fault Zone: Over the Edge. A Cup of Redemption , her first literary novel, is loosely based on the gripping excavation of an elderly French woman’s life and the honoring of her final request: to find a father she never knew lost during WWI. First Peek at my Cover! Here it is: the cover of my novel! Available for purchase October 2014! It isn’t every day you trip and fall into the arms of your destiny. At least that’s how I described Parker to my friends. I was running late, of course, because I’m never on time, and was hurrying down the stairs of my apartment building (damn unreliable elevator) in 3-inch heels no less when I tripped and careened out of control. Luckily, I was close to the last step. Even luckier, Parker happened to be coming up the steps and he caught me before I broke my neck, or worse, my ankle. I know you’re thinking love at first sight, but no. This isn’t that kind of story. I think it was like at first sight. He is, and I’m not exaggerating, smoking hot. But then I heard his voice. “‘Ello, Love…are you injured?” I’d always had a thing for the Brits. Finally, though, when I managed to catch my breath and find my voice, I said, “You smell really good.” Obviously, my brain was lagging behind. Parker wasn’t turned off by my lack of social graces. Instead, he was charmed. We exchanged names and numbers and then I’d hurried off to meet my agent. She had some scripts she wanted to talk to me about, future projects and appearances that could move me from the B-list to the coveted A-list. I’d planned to mention my contemplation of a drastic hairstyle change as well as the suspicion I had a stalker, or at the very least an anonymous admirer. But the whole time I’d been sitting in her office, all I could think about was Parker, his scent lingering on my jacket and cocooning me in a seductive world of possibilities. Months passed and life felt like a carnival. I was on the carousel of romantic candlelit dinners and midnight showings of classic American movies; Broadway shows and stolen kisses; long, intimate conversations over fair trade coffee or expensive bottles of wine (depending on the time of day of course) and I didn’t want to get off. Until the day Parker turned out to be more devil than destiny. It never occurred to me when I first fell into Parker’s arms that he’d been climbing those stairs to see me, despite us having never met. Never occurred to me that he was the person responsible for the middle-of-the-night phone calls I’d been getting, the calls without words, only heavy breathing. Even while we dated I still received those calls, just not as frequently, so how could I have guessed? It never occurred to me that he was responsible for my lost mail; as well as for small, inconsequential objects disappearing from my apartment. Things I thought I’d just misplaced, or perhaps lost in the crush of people in the subway, like a pair of earrings, a favorite scarf, a tube of lipstick. And it never occurred to me I’d mistake the devil for my destiny. But I have the scars from his blade on my body, the nightmares reliving his jealous rage and the constant shadow of my new security force to remind me of a mistake that nearly cost me everything. The priest slowly walked beside the guard, his well-worn Bible grasped firmly in one hand. He hated these kinds of meetings. Give him a person on their deathbed, their body wrecked with disease or age or both anytime over this. It was true he didn’t agree with the death penalty, but it was more than that. Sometimes the inmates, hours before their death, remained puffed up with false bravado, any potential feelings of fear or regret buried too deep for he, or God, to reach. Other times the inmates would drop to their knees, groveling at his feet, begging for a miracle of salvation. Of course what they really desired was to elude the death penalty, not to accept God as their savior. But who was he to judge? He accepted their confessions, prayed with them, performed Last Rites over them and left the judging to God. As he approached the cell, he could hear heavy breathing and wondered which way this inmate would fall. He turned to the guard accompanying him, but remained silent. The inmate performed two additional push-ups before getting up. He was breathing heavy and there was sweat glistening on his forehead and tattooed arms. He turned to the sink to splash cold water on his face and the priest could see the sweat on his back seeping through his shirt. At once a beep sounded and then the cell door opened. The priest stepped through. He knew many priests who preferred to stay out of arm’s reach of these men convicted of truly heinous crimes, but he liked to believe his faith was stronger than his fear. And really, why would they kill him, a priest, right before being executed? What would be the point? But if he was wrong? Well, he wasn’t a young man. It wouldn’t be so tragic, his death. “Close the cell,” the guard ordered and immediately the door closed, locking the priest in with the inmate. The guard walked away. The priest sat gingerly on the foot of the bed and opened his Bible. The man scoffed, but didn’t reply. Instead, he turned his back to the priest and began bouncing on his toes, punching the air with a variety of combinations, much like a boxer warming up. The priest studied the back of the man and wondered about the path that had brought him to this prison, to this cell, to this death sentence so many years ago. He was familiar with the crimes the man was convicted of, crimes of murdering numerous people up and down the California coast. There had been no courtroom confession and there had been no explanation of the reason that fueled his rage as he murdered his way into serial killer fame. The man started punching the air again. The priest watched, wondering what he was thinking. Why had he chosen such healthy food as his Last Meal? Why was he so determined to continue his pursuit of physical fitness when he would not be alive tomorrow to see the sunrise? The guard was correct when he said this inmate was different. Was God using this man to teach him something? He had been thinking about asking for a new assignment, knowing that lately he’d been feeling a bit jaded towards these men sentenced to die. The priest was startled for a moment from the man’s quick actions and it took him a second to comprehend the man’s request. Maybe the man wasn’t in the bravado camp after all. Would he now resort to weeping in an unsuccessful attempt to win his life? The priest stared at the inmate, aware of his inadequacy of saving this lost soul. A beep sounded and the door slid open. The priest stood, unsure of what had just happened. The priest nodded and then with a last glance at the man, he stepped out of the cell. As he started to walk away, the cell door clanged shut and the heavy breathing resumed as the inmate returned to his workout. I gave Melissa this prompt: Write something which includes these three things: A Barbie, a skeleton key, and a ring. Also, please know I did not actually research prison protocol or anything to do with the priesthood so you don’t have to leave me any comments that point out those types of errors! I apologize if that sort of thing bothers you, but I promise, if I were to do anything more with this, I would do some research and get the basics right. But I do welcome all comments that otherwise liked this (or didn’t)! It has been awhile since I’ve written I know. I’ve been busy I guess. You’ll be happy to hear I’m making great progress here though. My therapist (we call him Dr. Q, isn’t that cool?) said I was doing good. But I’ve been thinking about you, you and mom. How is she, by the way? Remember when we were little and we used to pretend to be a superhero team? That’s a blast from the past, isn’t it? Bet you haven’t thought of that in a while. I don’t know what made me think of it. You were a good brother even back then. Your super power was to fly, wasn’t it? My power was being invisible. Invisible! Wouldn’t that be something? To really be invisible and not just pretending? Then I could walk right out of here. (Yes, I know. I need to be here. ON THE INSIDE. SAFE FROM THE OUTSIDE. For my mental health. But you can’t blame a person for wanting, right?) What I most remember is you would go along with it and pretend you really couldn’t see me. You were so convincing that you nearly fooled me and I thought maybe I had become invisible! Anyway, above my bed I have the birthday card you sent me last year. I don’t know if you remember it but it has a cat on it. Cute. Kinda like the cat I always wanted. I also have pictures of you and I together…at a family picnic I think. Mom sent them to me before she stopped writing. But I don’t want to talk about her. Not yet at least. Dr. Q says I have other things to work through so I don’t have to think about her yet. The pictures, though, they help me to have good days. It’s funny really, but I’ve been looking so long at these pictures of you that I almost believe that they’re real. That you and I are close. And happy. That we see each other on a regular basis. Go out for drinks, meet up for happy hour after a long day at work. Maybe see a movie together. The smiles in these pictures make me think of birthday dinners. I’d make you a cake. And you’d unwrap your gifts. One would probably be a book because you read so much. (Do you still read a lot?) The other gift would be something silly, like a kazoo or magic 8 ball. Something that’d make you laugh like you are laughing in this picture on my wall. I don’t remember being at a picnic with you, though, so I can’t figure out when the pictures were actually taken. The background is grass and sky. In one of the pictures – I’ll describe it and maybe you’ll remember – We’re both sitting in lawn chairs, although they aren’t exactly right next to each other. You are laughing at the camera. Is it mom who is taking the picture? I am holding a plastic cup and I imagine it has lemonade in it. The weather is warm after all because we are both wearing short sleeves. I am not smiling. I’m looking down at my drink. My free hand is clenched in a fist. (Maybe you were right about my ANGER ISSUES.) I’ve actually just noticed that at this moment. The other picture has you and mom and me in it. You and she are facing each other and I’m kind of in the background watching you. I’m off to the side and half of my body got cut off in the picture. We are wearing different clothes than the first picture so it must’ve been taken on a different day. How do you like that? Didn’t know your sister was such a detective, did you? Dr. Q says I’ve got to stop living in a fantasy world. I’ve got to start accepting things like they are. I showed him your last letter, the one where you said you wouldn’t be writing me anymore, that you couldn’t deal with my kind of crazy, that you had your own life to focus on. He said that was smart of you, that you should focus on your own life and that I should just focus on getting better and not worry so much about what you or anyone else is doing or not doing. I’m not going to lie; it was hard reading that letter. You don’t know how it feels to get mail when you’re in here. There are so few tangible links to the outside world. That’s what your letters were for me. But it’s not all bad. Especially now that my meds seem to be right. That’s kind of why I’m writing, if you want me to be honest. When I sent you the letters that caused you to stop writing me, which by the way I heard you sent copies to my doctors and I was pretty mad at you for that, so mad I did some things in here in reaction and had to be locked down, WHICH WAS WRONG, but I’ve forgiven you because I know you were only trying to look out for me. Anyway, my meds weren’t set right back then. It’s not an exact science, you know. There’s TINKERING involved. But it’s all good now. Even Dr. Q said so. So maybe you could write me again? You could even send me another birthday card even though it’ll be late I won’t mind. I can hang it up on my wall next to the other one. And then in a few months maybe you’d like to visit. Dr. Q says people don’t leave here without having a support system in place. I guess that’s smart, I don’t know. It doesn’t seem fair because how can I make people be my support system? Well, it’s time for my group to meet with Dr. Q so I’ve got to sign off here and see if I can find a nurse to mail it for me. This post was in response to the recent Scriptic challenge. Cheney gave me this prompt: I’ve been looking so long at these pictures of you that I almost believe that they’re real. I started several posts using this prompt, but when I got into it, the prompt never fit. It seemed simple enough, but it turned out to be deceptive! At least for me. I gave Talia this prompt: I thought you’d want to eat alone. who wrestle, climb and fight over toys. Coffee fuels my life with three young boys. For the Scriptic prompt exchange this week, Diane gave me this prompt: Write a limerick about your day. I gave Grace O’Malley this prompt: A secret scrap of paper is discovered within the pages of a book. “It’s getting cold out,” she said, pulling her robe tighter around her body and wishing she knew what he was thinking about. He’d barely talked during dinner and afterwards, he had disappeared outside before she’d even cleared the table. He remained silent, a solid mass in a worn flannel shirt and grease-stained jeans, hunched in an old lawn chair, the full moon casting the only light in their small backyard. He shifted in the chair, removing his hands from her touch. He listened as she climbed the steps and entered the house, her entrance punctuated by the creaking screen door. He didn’t want to tell her he’d lost his job until he had a plan of action, possibly even a new job lined up. He didn’t want to tell her that they were already behind on their mortgage. And not by a little. He didn’t want to see the worry in her eyes, the disappointment. He’d always tried to be strong for her and he wouldn’t stop now even if it was his fault they were in this mess. He only stayed outside for a little longer, but when he walked into the kitchen, there on the table was an RC Cola and a Moon Pie. And suddenly their first date at the Silver Bullet came flooding back to him. It had been her first moon pie, something he couldn’t get over. She’d been wearing a white sundress with tiny yellow flowers on it. He closed his eyes, remembering the red table, the shiny red booths, the white uniforms, the pie display. And she’d smelled like lemons, which was such a contrast to the diesel smells he breathed in everyday at the garage. They’d talked so long they’d missed the movie, but neither of them had cared. And they’d been practically inseparable since that first date. He smiled suddenly, remembering her comment on not wanting to be “The Little Woman.” With her blazing red hair and matching personality, he’d never once thought of her as that. And tomorrow he’d have to confess the tough spot he’d gotten them into. But tonight he could enjoy the sweet perfection of a moon pie washed down with an RC Cola. Tomorrow was another day. For the Scriptic prompt exchange this week, Major Bedhead gave me this prompt: an RC cola and a Moon Pie. I gave Diane this prompt: on the upside of a downward spiral (from Drive By by Train). She sits at the kitchen table, a cup of cold coffee in front of her. This can’t be happening to her, to her perfect little family. She draws in a shaky breath and then releases it. She’d spent all her tears last night, leaving nothing for today. But how had this happened? The Day had started out like most days. The kids had gotten up early, watched cartoons while munching on dry cereal. She’d given the baby a bottle. Then she and the kids had gone outside to feed the birds small bits of bread and to check on their garden. When they’d returned, her husband, normally a cheerful morning person, had started the day off arguing with her about how she loads or doesn’t load the dishwasher. She wishes she hadn’t become defensive, that she had promised to try harder, instead of getting sucked into a fight about other domestic chores, about the ways he comes up short. She’d made him a fresh pot of coffee and wondered at the frown creasing his brow as he’d stared out the kitchen window. She’d gone up behind him and leaned into him, wrapping her arms around him, but he’d remained stiff, tense. She’d released him, turned her attention to the kids and reminded herself not to take it personally. After he’d finished his two cups of coffee, black, but extra sweet, she’d encouraged him to go for a run, knowing that always improved his mood. And when he’d returned to find she and the girls elbow-deep in flour and dough and their son taking his morning nap, he’d kissed her on her forehead and gone to take a shower. For lunch, they’d packed a picnic, found a shady spot in the grass not far from the river, but near the playground. It had been all six of them, a rarity because of her husband’s hectic work schedule, and it had been a beautiful day. The girls had enjoyed spending time with their father. And with his mood no longer cloudy, he’d been a good sport, going along with their games of Leapfrog, Freeze Tag, and Duck, Duck, Goose. And they’d all laughed as the baby had crawled after them in the grass, trying to keep up with his adoring sisters. Her favorite part of the afternoon had been when they’d all sat on the dock, their legs dangling over the river. She and her husband had been the bookends, their daughters between them, the baby cradled in her arms, drinking a bottle. She knew her husband felt it, too, the wonder of the moment as the girls giggled and waved to boaters going past. It was later, dinnertime, the witching hour for small children, when life spiraled out of her control. She’d been cooking, chicken and rice, nothing fancy, but unable to give the baby her full attention and the girls were also busy, working on a project, something to do with fairies, “not suitable for babies, but especially not little brothers,” they’d said. Her husband had offered to take the fussy baby for a walk in the stroller. They’d go for a quick spin around the neighborhood, maybe back to the dock to see if any fishermen were arriving with their catch. “Just us men,” he’d said, picking the baby up from where he sat on the floor crying for his mother’s embrace. She was just plating dinner when he’d burst in, out of breath, when he’d uttered the words that changed everything. Her baby boy was lost in the river. Her husband dropped to his knees, his hands pulling at his hair as tears streamed down his cheeks and a puddle formed on the floor from his wet clothes. “Help me,” he’d begged, but she could only stare at him in disbelief. And then she’d dropped the plate she was holding, chicken and rice crashing to the floor, the plate shattering, shards skidding across the floor. She’d gone out the door, running. Running, unaware that she was shoeless. Later, she found out she’d been screaming as she ran, causing the neighbors to leave their dinner tables, to rush to their front doors and windows in alarm. And then she was at the river and there was the stroller parked next to the dock and it was empty. Where was he where was he where was he? She ran up and down the dock, searching for her baby. She was too high; she couldn’t see him. What if he was under the dock? She jumped into the water without hesitation. She could find him. It wasn’t too late. It was summer, which meant there were probably two more hours of daylight left. He could be found; he could be saved. She could save him. Please, God, let her find her son. Someone had called the police. Someone had pulled her out of the water, wrapped a dry blanket around her. They must’ve asked her questions, but she kept her eyes unblinking, fixated on the river, searching, unable to look away. And then someone had given her a sedative. When she emerged from her bedroom, friends and neighbors were there, taking care of her girls, cooking food in her kitchen. The chicken and rice were gone. Clean laundry, neatly folded, sat in a basket next to the stairs. Someone had made a fresh pot of coffee. They studied her, cautious. How was she? Where was he? Had they found him? Where was her husband? She was led to the kitchen table. It was late, past her daughters’ bedtime, but they had needed to see their mother, to know that she was still theirs, that she hadn’t also disappeared. The girls were instructed to kiss her goodnight. She knows they hugged her, remembers they pressed their puckered mouths to her cheek. But she couldn’t feel their thin arms tightly wound around her middle still thick from the baby weight she struggled to lose, couldn’t feel their moist kisses on her dry skin. She remembers her friend guiding her daughters out of the room, murmuring softly to them as they held hands, a chain of dark-haired girls with frightened eyes and trembling bodies. They glanced back at her, their mother, before disappearing down the hall. She heard their footsteps as they climbed the stairs, pictured them entering their bedrooms, two girls to one room and the oldest to her own room, swapping their shorts and shirts for pajamas, brushing their teeth. Their voices had faded away. They couldn’t say the words and she was relieved. She wasn’t ready to hear them. Not yet. But she knew she’d have to face it. Knew she’d have to face the shrinking of her family in an unimagined instant. And now she sits, drinking cold coffee. Although she isn’t drinking it. It is only there to create a sense of normalcy. Here she is, a woman sitting and having a cup of coffee. Nothing unusual about that. The neighbors, friends, have all gone back to their own full lives, leaving behind promises to check in, to continue to help her and her girls, just ask. Will she need their help? She does not know. She is waiting for the call that will tell her the future. Will her husband be released or will he be charged? He has always been her rock, always there for her. She doesn’t know who she is without him. She doesn’t know how to be a single mom; she doesn’t know how to be a breadwinner. She doesn’t know how to do this, their life, without him by her side. The future she’d envisioned was of one as a family of six, not a family of five, not a family of four, a house of estrogen. Did he– she clamps her hands over her face. She can’t go there yet. Instead, she will wait for the police to tell her something. She will wait for their account of what happened and then she will either accept it or reject it, but if she allows herself to speculate…well, she has to keep herself together. She must be strong, like steel. For her daughters. The girls travel as a pack now, no longer independent. A moment ago she was alone in the kitchen and now suddenly, the three of them are in front of her, seeking comfort, attention, nourishment. She gives them animal crackers, agrees to let them watch television although they’ve already watched more than their allotted time. She touches their hair, trying to be their mother, but can’t help but think about the baby’s hair, his dark curls so soft, so fine. She herds them back to the living room, hoping the snack and juice boxes will satisfy them. They settle on the couch, sitting so close together it is not obvious where one girl ends and another begins. She should stay, cuddle up to them and feel their heartbeats, match her breath to theirs, but she can’t just yet. Not until she knows her future. Their future. So she returns to the silent kitchen, to her cold coffee she will not drink and waits for the phone to ring, twisting her wedding ring around and around on her finger. This was written for the Scriptic prompt exchange this week, which was given to me by Wendryn: Someone else is in control of a huge decision that will change the course of your life. I gave Barb Black this prompt: Sixteen saltines and a birthday card. I am also submitting this for Trifecta’s challenge, which is simply to write 333 or more words. My mother sits at the kitchen table, her purple bathrobe loose around her thin body. She covers her face with her hands. I drop to my knees beside her chair and look up at her. I am like a baby bird, waiting to be fed my mother’s wisdom and understanding and love. “But why?” I whisper, shame coloring my fair skin pink. I set a fast pace despite the summer heat and while I walk, I think of what I will say to Grandmother Rue when I return from the bakery on the corner. I should keep it simple. State the facts and wait for her reaction. But what will her reaction be? She is so old, her joints stiff with arthritis, her eyes nearly blind. We don’t really expect her to live much longer, which is why I don’t want to tell her. And which is why my mother’s desperate call for donuts is so frightening. When I return, I do not enter the house right away. Instead, I pause and peek in the kitchen window. I see my mother, sitting at the table. She has changed into a dress, the cotton material decadent in blue Hydrangeas. It is my grandmother’s favorite dress, the color blue matches her eyes, which are the same color as my mother’s eyes, the same color as my eyes. My grandmother sits across from her, her back to me. She is wearing men’s striped pajamas and a white ushanka, the thick sheepskin and ear flaps a perfect hat for frigid Russian winters, but a conundrum in this summer heat. I know there is a story behind the hat (she wears it everywhere and in every season), but she does not share the details, only corrects my mispronunciation of ushanka. I once thought something was wrong with her hair and perhaps that was the cause of her attachment to the hat, but I was wrong because the one place she takes it off is at the beauty parlor. This perplexes the stylist, a woman named Jan, who spends an hour getting grandmother’s hair set with perfect finger-curls only to watch them be crushed, hidden beneath that inappropriate hat before Grandmother Rue thanks her formally and walks out the door. My mother spots me looking in the window and leaps up. When I walk in the back door, she grabs the box of powdered sugar donuts out of my hands. She won’t meet my eyes and I realize that she is just as afraid to hear my truth as I am to speak it. Quickly, she places two donuts on a chipped plate with pale blue flowers adorning the rim. It is a plate from my grandmother’s days as a young bride and is chosen to make my grandmother happy, much like my mother’s pretty dress. But the plate just seems like a sad reminder of happier times and I wish my mother had not chosen it. She hands the plate to me and nods once. It is her signal to me to speak and get it over with. “Hello, Grandmother Rue,” I say, setting the plate down in front of the old woman. I feel a trickle of sweat slide down between my breasts from my fast walk to the bakery. Grandmother Rue doesn’t even look at me. She reaches quickly for the unexpected treat before my mother can change her mind and take the plate away. She lifts one donut to her mouth and takes a bite. She remains silent, quickly finishing the first donut and moving on to the second. I frown, wondering what kind of code she is speaking in. I swallow the saliva that seems to be collecting in my mouth before reaching over and lifting the soft flap that covers her ear. I lean in as if I’m sharing a secret. “I’m pregnant,” I say. My mother flushes and begins to weep. She believes Grandmother Rue is right, that she is to blame. I remain in my chair and watch as my grandmother licks her finger and then runs it over the plate, picking up the loose sugar from her donuts before sucking her finger, greedy for the sweetness. Some of you may remember Grandmother Rue from another prompt challenge I was a part of this past week. I’m not sure if she and her daughter and granddaughter will turn up in anything else I write, but I couldn’t let them go just yet.